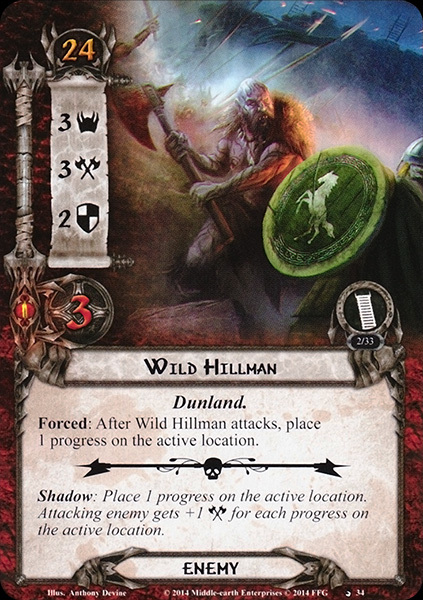 Forced: After Wild Hillman attacks, place 1 progress on the active location. Shadow: Place 1 progress on the active location. Attacking enemy gets +1 for each progress on the active location.